Neck pain is legitimate, and often extremely painful. The source can be any number of things, and there are many treatment options. Isolating the root of the pain and therefore the method of treatment can be challenging because it could be as a result of tense muscles, a pinched nerve, or even a vertebra moving out of alignment. Most of the time, neck pain does not require pharmaceutical or surgical care. 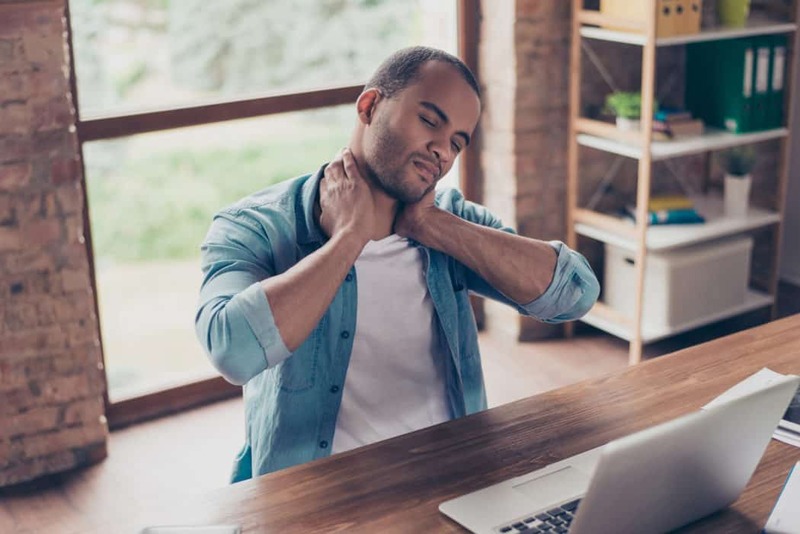 That being said, if it is not addressed and the neck pain is not alleviated, it can become a lot worse and you may be left with the two as your only options. If you would like to relieve your neck of pain without involving any drugs or surgery, consider chiropractic treatment. Prior to treatment, a chiropractor will carry out a physical test and take note of your medical history. This information will allow the chiropractor to better understand the background information needed for a treatment plan that is custom made just for you. The examination will not only involve your neck, but your entire back and spine. This is because neck pain does not always originate from the neck. Often, the root lies in a different location. It could be poor lifestyle habits such as nutrition and stress, or bad posture and inadequate movement. The curvature and alignment of your spine will be noted, and your muscular strength and reflexes will be tested. All this information will be added to your background information to help with your tailored treatment program. As mentioned, neck pain does not always come as a result of falling on your neck or experiencing a strong impact on your head. It is more commonly a result of sitting too long, aging, movements with the same motion, and the normal breaking down of our neck and spine. New patients will be assessed in our office to determine whether your pain is something we can treat. If yours is a non-surgical case and something that we are able to treat, we will begin to put together a treatment plan right after identifying the root cause. There may be questions that the chiropractor chooses to ask – where is your pain? When does it rise or fade? How much does it hurt? A treatment plan may involve spinal adjustments, massage therapy, physical therapy exercises, and exercises for you to do at home. Chiropractic treatment is holistic, and will involve every part of your life. To experience the best results, you will have to follow guidelines regarding food, exercise, and other activities. Besides that, you will have to attend chiropractic treatment sessions as scheduled. Manipulation of your spine and muscles is done by different techniques. Some use soft touch to enhance range of motion. Some use a handheld instrument. This special instrument allows for a light pressure to be placed upon the area without unnecessary pressure on the spine. This technique is particularly useful for both upper and lower back pain. Joint stretching and massaging of the muscle also involves either hands or instruments. Besides treatment with these handheld instruments, chiropractic care may also involve treatments with Interferential Electrical Stimulation, which is when your neck muscles are stimulated with currents of a low frequency. Ultrasound is also sometimes used to relieve tension in muscles. You may be given an exercise routine to follow. These routines will not only relieve pain, but enhance your range of motion. Your recovery will be greatly enhanced if you carry out these prescribed exercises at home. The treatment that chiropractic care is best known for is cervical manipulation, also known as neck adjustments. This is when a chiropractor uses their hands to adjust the joints in your neck. You will experience less tension and an improved range of motion, followed by an alleviation of pain. If you are looking for a solution to your neck pain, check out the Florida Wellness Medical Group today! Being able to experience a higher quality of life has never been easier, get in touch today to see how we can help.